Visit Florida’s Sarasota County in summer for a perfect escape to pristine white-sand beaches, great restaurants, and shopping and events — minus the busy crowds. You’ll find a coastal destination still buzzing with activity, but with more affordable hotel rates, easier beach parking, and summer dining deals that enable the whole family to have an unforgettable trip. This guide will get you started. Let’s begin at Bayfront Park and Marina near downtown Sarasota, a beautiful green space featuring public art and massive banyan trees. Watch the fishing boats move in and out of the marina from the dolphin fountain, or sign up for a excursion with LeBarge or Marina Jack II. Enjoy cocktails and music at O’Leary’s Tiki Bar or a meal at Marina Jack. Arrive early in the morning for your run or walk for less humidity, and have your phone or camera ready for plenty of great shots. One place for iconic Sarasota pics is the massive Unconditional Surrender statue, modeled after the famous photo of a soldier returning from World War II who’s kissing a woman in an impressive dip. Next up is The Ringling, one of the most impressive museums in the region. Circus magnate John Ringling and his wife lived in Sarasota, and the John and Mable Ringling Museum of Art shows off the family’s art collection, much of it Renaissance and Baroque. But it doesn’t stop there — The Ringling also has a circus museum, a restaurant, a theater, a beautiful rose garden, and Ca’ d’Zan, which was the family’s winter home. It’s right on Sarasota Bay and is absolutely gorgeous. Keep The Ringling in mind for a rainy or super-hot day — or a Monday, when admission to the art museum is free. Yep, a state art museum. For free. Shark-tooth hunting. That’s why you’re here, right? 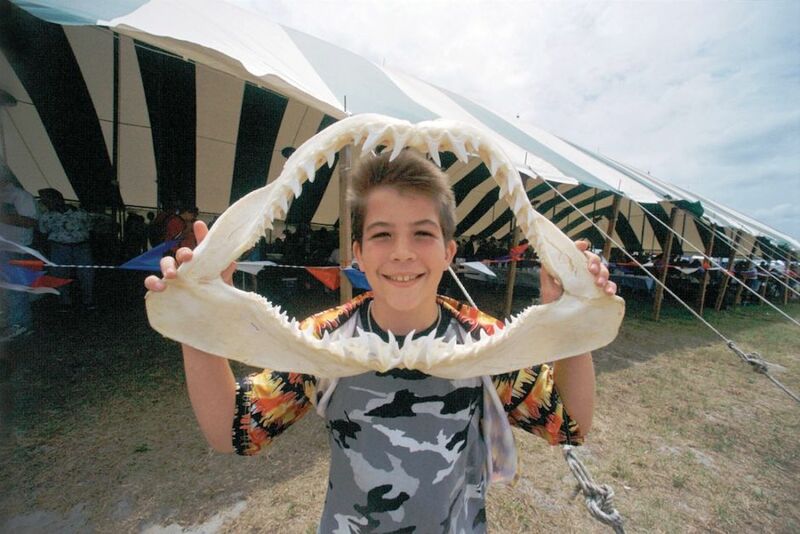 This is something you have to try if you’ve never done it before — and you have to do it here, because Venice, Florida, is billed as the Shark Tooth Capital of the World. Head on over to Venice Beach or Caspersen Beach (more on those below), preferably in the morning, to see what’s washed ashore. In the past, visitors would occasionally find teeth from megalodon sharks, which have been extinct for millions of years (with teeth as long as seven inches). Buy a “Florida snow shovel” — Google it — or even a sand sieve or colander. You’ll need something to help you sift through the sand so you can find the triangle-sized, sharp, and usually black teeth. Longboat Key is filled with stately homes, so its small (and somewhat hidden) public beach areas are well kept and less used. Lido Beach tends to attract a younger crowd and is the closest to downtown Sarasota. Siesta Beach has been called the nation’s best beach on more than one occasion. Its white sands are beautiful, and it has a renovated picnic, playground, and food area. Arrive early to get the best spot, as the beach fills quickly. Also note: There’s a cool drum circle on Sunday evenings. Caspersen Beach and Venice Beach — along with Brohard Dog Park — can be found farther south, in Venice and South Venice. These places are harder to categorize, being a little bit of everything. West of Englewood, you’ll find Manasota Key and its beaches, including Blind Pass Beach and Manasota Beach. Head here for paddling opportunities and a chance to explore mangrove forest. When you’re ready for a break from the sand, head to St. Armands Circle: a literal circle of shops, restaurants, and businesses where you can stroll all day (yes, all day). It’s just a few minutes’ drive from downtown, or a short walk from Lido Beach. Make sure to check out Clyde Butcher’s St. Armands Gallery, featuring the black-and-white photography of a true Florida artist and icon. Another fun stop is the Spice & Tea Exchange, a store that graciously lets you bask in the smell of hundreds of spices, herbs, teas, and salts (one of my faves is the black truffle sea salt.) At Artisans, you’ll find cool-but-affordable jewelry and local, beachy gift ideas that aren’t tacky. There are the standard ice cream places on St. Armands, but one recent addition that’s causing a stir is The Hyppo Gourmet Ice Pops, selling natural, gourmet ice pops with flavors like watermelon basil, pink grapefruit lychee, and mango chia. For, nightlife head to 15 South Enoteca for awesome Latin music and dancing on weekend nights. 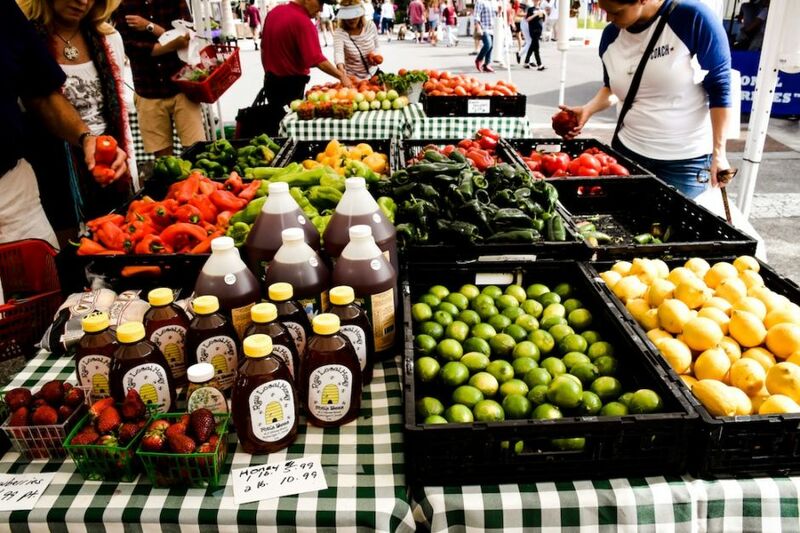 There are other farmers markets in the Sarasota area, but not all are year-round — though Venice Farmers Market in downtown Venice and the Siesta Key Farmers Market at 5104 Ocean Blvd in Siesta Key do have stalls bursting with goodies all year, too. Pro tip: Bring a cooler for any items that could perish, and arrive early! Especially in the summer, the markets heat up — literally — as the day goes on. And now we get to talk restaurants: At Selva Grill on Main Street, you can find a legit Peruvian ceviche, along with other upscale, Latin-inspired dishes. The Columbia Restaurant on St. Armands serves storied Cuban fare in a bright and airy setting. Fresh, organic, and healthy are the themes at The Coolinary, a newcomer to the downtown Sarasota scene, or check out the vegan-friendly options at Lila. Head in the exact opposite direction with the central-Texas-style barbecue at Brick’s Smoked Meats. And C’est La Vie, with one location in downtown Sarasota and another off of University Parkway, offers authentic but casual French food, including crêpes. Yum. After gorging on whatever you choose, head back to a beach you haven’t hit yet. Sarasota County faces the Gulf of Mexico, meaning it’s got some pretty awesome tangerine, gold, and pink sunsets. You feelin’ lured yet? This post is proudly produced in partnership with Visit Sarasota County.